When you think about electronic hardware and the Maker movement, you probably think first of Arduino. The Italian company founded in Ivrea is certainly is the symbol of the open hardware movement and is at the base of many important projects by Makers. 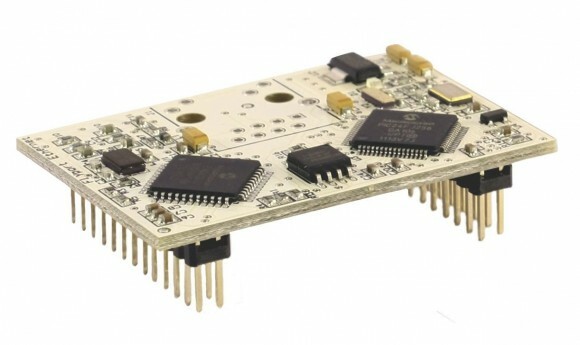 But over time, other companies have also developed open hardware boards. Rome-based openPicus is one example. Their Flyport board and its various accessories is another Italian open hardware story and we've met up with one of the company's founders Claudio Carnevali, to find out more. How did openPicus get started? The idea of openPiccus comes from the observation that there was a lack, back in 2010, of a platform for Internet of Things, a small, programmable product, natively connected to the internet, and not just a prototyping platform but able to create commercial products. So we opened a blog and shared the idea for the Flyport and all the elements of the process to make it (even it's name was chosen through a poll on the blog). Our experience in hardware design and manufacturing kinda did the rest (our compaany has an SMT line in Italy). o we grew up, we made many products, got to know lots of people and we still enjoy what we do. Where are you now and what do you foresee in the near future? Being a tech company, it is hard to say exactly where we are in our life. At the moment, we are working on attracting more professional uses for our products, for which we are creating a new line of products... but that's top secret! We are also working on our communication, starting with a review and simplification of the website. Although our work is done almost exclusively online, it is so important to get out and visit hackerspaces and fablabs, both nearby and around the world. Soon we're launching a collaboration with a tech specialization school in which openPicus will be a hardware partner. We want to teach young people how to make products, not a prototype but something you can really sell! It seems that hardware is back in style, especially if it is connected to the internet like our chip, and my vision is that openPicus will play an important role in the creation of intelligent objects (see our umbrella hack, for example), and in the field of smart living, where we have a major project underway. You are very active with hackathons and you organize them directly. How important are they to share knowledge, find new talent, develop ideas for projects? Hackathons are the idea place to meet young talents who appreciate our technology. They're moments to share experience, vision and energy, but also they're a marketing and product development opportunity for us. 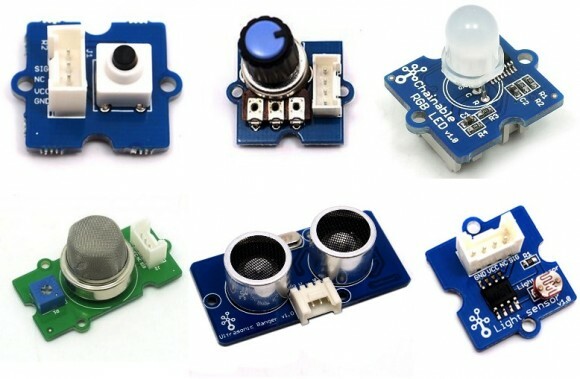 For example, at one of the first hackathons that we participated in, we noticed that many people had trouble soldering wires onto our Flyport modules, so at the first opportunity we created an expansion chip called Grove Nest, to which one can connect a wide range of sensors and actuators without soldering. We presented it at another event and it was a success, so we decided to sell it, and it has been doing well with Makers who want to concentrate on development without wasting time connecting wires. In fact, one of our defining features is that openPicus is a complete and modular ecosystem, permitting, we hope, less geeky types to approach the platform. Our platform does require a background in C programming. This and the fact that users have access to and control of comunication through TCP/IP does, in fact, make openPicus most appropriate for experienced users at the moment. We are trying to overcome this barrier by working a lot on our wiki, where we're planning on inserting a series of tutorials to help people start using the Flyport in the most painless way possible. One one hand, you're clearly passionate members of the Maker community, but on the other hand your company's set-up makes you potential players for OEM clients. Is it easy and natural to balance these two sides of your business? Not only does it come naturally to us, but there are lots of advantages to these two sides of things. The Maker community tends to have more vocal and challenging needs than companies, and this helps us push our technology to the limit. Companies tend to arrive later, due to internal organization and marketing reasons. Plus, Makers help us very much with beta testing which is absolutely essential when you make hardware. Few companies have access to over 3000 qualified testers who can give you objective feedback on a new product or function! Domotica is one interesting application of the Flyport: is openPicus interested in this field, and how close are we to the day in which a normal, technologically literate person can automate or digitalize his own home? The domotica or smart home movement is evolving, in particular thanks to Maakers. Classical domotica is expensive and has its target market but it's not for everyone. Lately I have noticed that many projects that use the Flyport are indeed automization and controls of domestic elements via the internet. A low cost and wireless connected house is the house of the future but it is still in an embryonic phase in which indeed, the products in question are more for geeks than for 'normal' users. Let's talk about openPicus and open hardware. With what license can one develop commercial products based on the Flyport? We support the OSHWA (Open Source Hardware Association) and we firmly believe that open hardware will have the same growth impact that open software has had. Our license allows users to copy the product, make it better and freely integrate it in their own commercial products. The only thing we ask is that they print "powered by openPicus" on the final chip. How do you think openPicus is positioned in relation to other producers, Italian and worldwide, of electronic products for makers? And more generally, can you provide a snapshot of the state of open source electronics at the moment, as this seems to be moving into more interesting territory lattely? Open electronics is a cultural revolution that has advantages for companies that invest in it and for the users who both use and improve on these technologies. It is, of course, hard to generalize, but I think that, at least for us, the choice of open hardware has been a big advantage both for the visibility it can give and for the way that it involves people who give us ideas and feedback on a daily basis in a way that doesn't happen in a traditional, closed structure. What's important now is to make the project continuous and sustainable, because too often, being 'open' is associated with dead, incomplete and full of bugs. We cannot afford to end up like that, so that's why a project like this needs to have a company that backs it, allowing it to continue in time. There is one more interesting advantage to open hardware: companies sometimes feel comfortable buying open hardware because they know that even if the project itself does not continue, the documentation will all still be available to them.